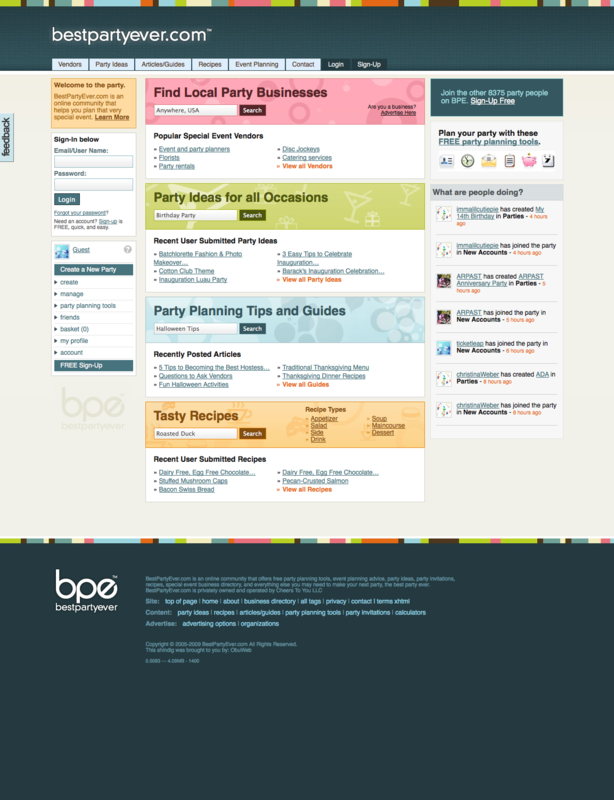 We are very proud and much relieved to have re-launched BestPartyEver.com. BPE is a website we own and operate an has often times been the forgotten child, but is now the center of our portfolio. 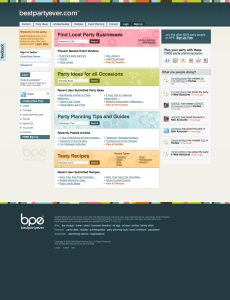 BestPartyEver.com is an online community that helps you plan that special event. Find thousands of free party ideas, recipes, special event vendors to hire, and party planning tips from industry professionals. A suite of party planning tools also makes it super easy to manage the details of your party with guestlists, online invites, budget calculators, event schedules, and to-do lists. We are extremely excited to offer all this party goodness to the public. Please check it out, and enjoy. This entry was posted in Oblog, Press, Web of Interest on January 20, 2009 by Joshua Strebel. May I ask which CMS you used for BPE? Was it WP or WPmu? Thanks.